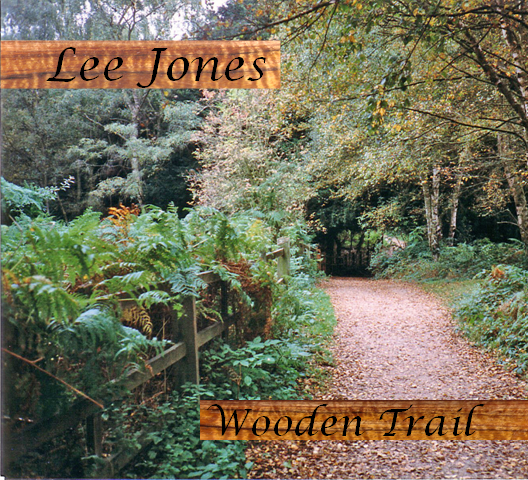 Hi all, this is my new CD, titled "Wooden Trail". It's a collection of folk-ish, country-ish, a little bluegrass-ish songs - each one telling a story - even the instrumentals. There are songs of lost love - but not the conventional kind - more of losing the love of a friend, and another of a beloved mother who is slowly moving away from reality. There is a song of a man who was so macho that he was impervious to almost everything - almost. A song of death hides in here somewhere - death of something dear to most of us. There is an anthem, there's a piece that weeps for an old hangout of mine, you'll hear a cheery, bluegrassy/folky, banjoey dit, and a fun conversation between two old friends. Of the twelve cuts, eight are songs with lyrics, and four are instrumentals, played on acoustic guitars, and a couple with some ukulele. I know, the ukulele has risen to hipster stardom here lately, but in my defense, I'm originally from Hawaii, and that twelve year old kid with the uke - he's still toting the thing around. I'm not going to throw around words such as "organic", or "eclectic", mostly because both have been horribly overused. I'll just say that acoustic instruments are the participants here, they include Classical/Spanish guitar, steel string acoustic guitar, ukulele, fiddles, cajon, maracas, spoons, bongos, and a secret percussion instrument that only Io knows what it is. The songs and pieces are mostly lighthearted, although some might occasionally find something in their eyes. If Merle Haggard, James Taylor, Mark Knopfler, and Gabby Pahinui were in your back yard playing their guitars and singing a few songs, you would be in the ballpark of what I sound like, except for, well, those guys are some of the all time greats, and I'm just me. Add a real Peruvian cajon, a can of Danish cookies, and a bass player, and there you have it.. It’s folk meets country meets the wooden trail. Just a side, If you like modern country, funk, jazz, or anything hip, you probably won’t like me. 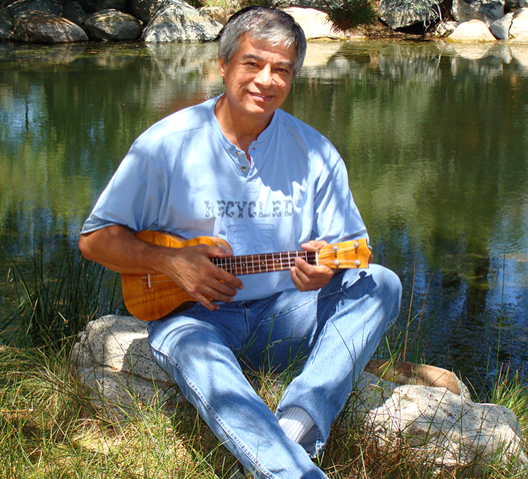 "Wooden Trail" is easy on the ears, good for the soul, and simple is best, I always say. I do this one for all who will listen - including my little animal friends - both domestic and wild - who have helped me keep some amount of my sanity. I do this for the earth, who I hope will stand fast and protect herself. Last but not least, I continue to play music for my own ears, and for the universe, with the belief that in some unexplained way, I can make things just a tiny bit better for matter, life, and everything in between. And this is only the beginning. Below are videos of the songs from "Wooden Trail". One thing, though, I'm embarrassed to say that while making these videos, I failed to credit the writers at the end. I always like to credit everybody who contributes to anything I do, so I don't know what the heck I was thinking, and I'm so sorry. The original footage is gone, so I can't change anything O_O . One thing for sure, I won't be making that mistake again. The next best thing is to credit them below the videos. Thanks, guys for writing those great songs, and for allowing me to record them. "Where Has All Our Freedom Gone"